Feeling something kickin’ the back of your mind? Well, it could be the crippling effects of a festival withdrawal. Our depressions come in the form of having the Urbanscapes playlist on-repeat as festival-goers are suffering major withdrawal symptoms from this year’s Urbanscapes. Don’t believe us? 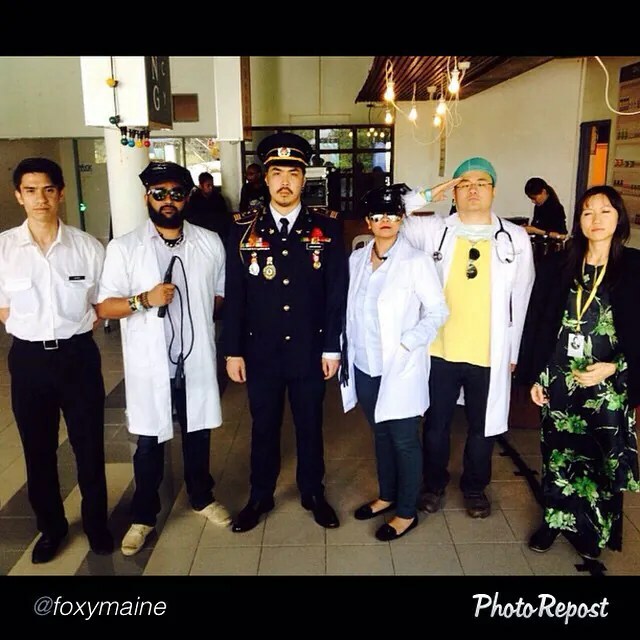 Just check out how many photos with the #Urbanscapes2014 hashtag are still being posted up on Instagram since the Urbanscapes Satellite Show. And it looks like it’s showing no signs of stopping as of yet especially when headliners Kimbra wrapped up the month-long music festival on a perfect note. Escapism is the highest form of art and this year’s Urbanscapes literally escaped to Genting Highlands to show us the “highest” form of escapism art. Upon our arrival, we’ve got a gist of how the creative arts and music festival was going to look like throughout as festival goers can be seen approaching the venue in their picture-perfect outfits. But of course, the real deal was the art installations that can be spotted near the Food Village. 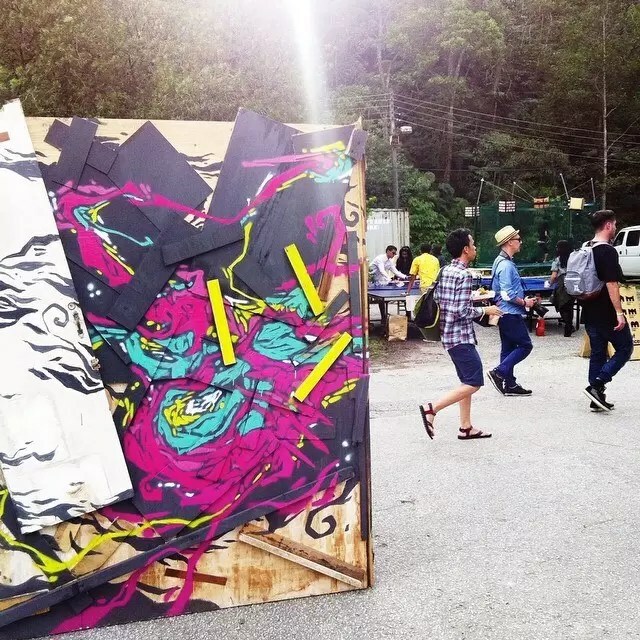 The tradition of having art installations at Urbanscapes has only gotten better through the ages as international and local artists including Arthur Lamon Studio, Biji Biji Initiative, Ian Mutch, Oak & Bindi, TRUSK, Jojo Yusof, Abdulrashade, Orkibal, FRITILLDEA, and Fauzan Fuad have come together to creative non-music action this year. The creative art installations allow festival-goers to bask in the glory of the art explosion and learn more about the messages the artists were trying to convey. 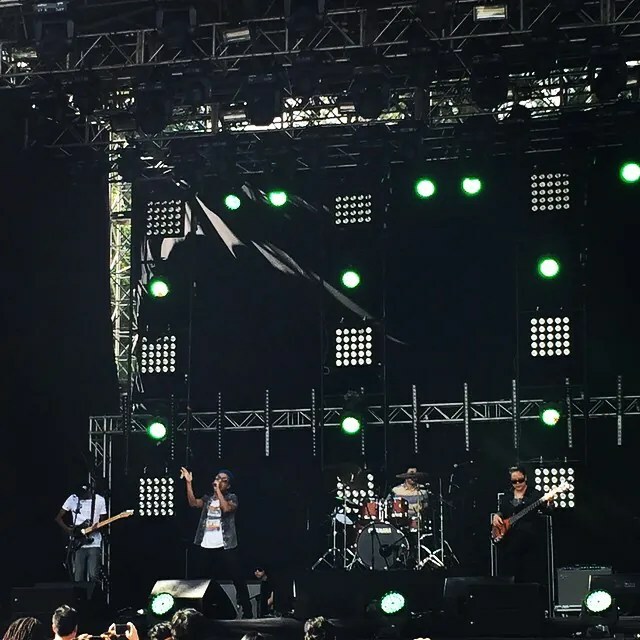 Urbanscapes saw the astonishing breadth and depth of the local music scene in Malaysia with the astounding performances from the local musicians such as Ali Aiman, Paperplane Pursuit, Bassment Syndicate, Jumero and so on. While most festival-goers were there to get their once-in-a-lifetime festival experience with the headliners’ performances, there’s no denying that they were also there to appreciate what the local musicians have to offer for them. Needless to say, the offer is a good one. The energy level was good enough to get the crowd grooving to their music and singing along to their songs. The level of commitment and dedication given by each and every musician involved in the festival deserves a roaring round of applause. A music festival is probably the best way to discover newcomers in the music scene as local acts will often introduce up-and-coming musicians through their shows. Subang Jaya-based band Enterprise was first introduced to the public through their rehearsal session on YouTube and set the local music scene abuzz with their creative new sound. Having performed at various music festivals and parties, the band collaborated with Nabila Musa (fondly known by the band as Cecile La Lumiere), a musician who garnered the public’s attention with her sweet vocals. Recent breakthrough artiste OJ Law also collaborated with Liyana Fizi during his set at Urbanscapes 2014. But of course, Liyana Fizi is not a new musician as she has already become a household name since her debut as one of the founding members of indie pop band Estrella. Known for her honey-like vocals, the singer-songwriter’s special guest appearance during OJ Law’s set drew more people in and swept them all off their feet. All thanks to Jon Mayor (sort of a reincarnation of comedian Kuah Jenhan), Urbanscapes was able to co-exist happily with the Republic of North Bangsar, an one-stop centre for all things fun and intriguing at the festival venue. Although outside thoughts are prohibited in the town, festival-goers will find themselves constantly drawn to the town that takes satire to a whole new level. From the Halloween Billie Fine Art musuem to the Uncaring Pharmacy (it’s actually a bar) to the road signs that have ceased to exist in our country, The Republic of North Bangsar is a small fictional town that has everything you’d unexpectedly expect to see. Controversial cartoonist Zunar was also selling his comics art behind the “bars” at the Satire Town of North Bangsar. It’s fun to get lost in this small town which provided so much fun for us to explore. Kudos to the Mayor who made sure that the festival-goers will visit his town by featuring a number of artistes that provided solid entertainment at the Jolly Green Stage. We wouldn’t be calling ourselves Malaysians if we didn’t eat all the way through Urbanscapes. A Food Village is always a must-have at a music festival and its strategic location allowed festival-goers to get their grab-and-go food. 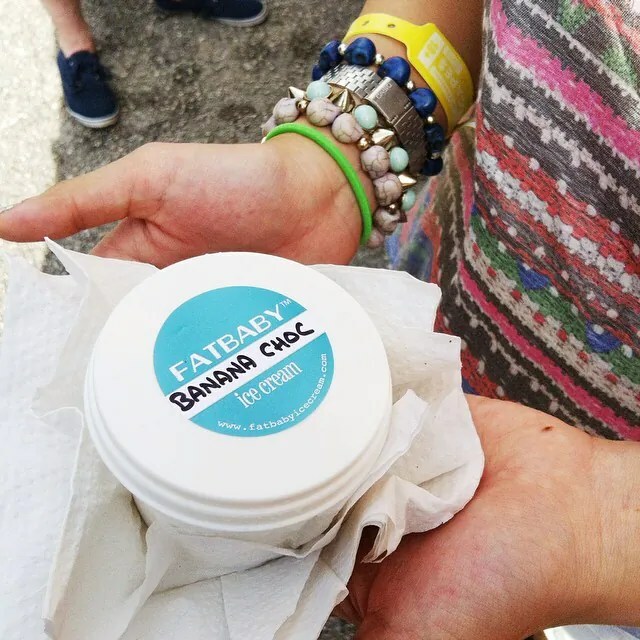 The festival may have been situated at the highlands, but considering how warm the weather was, we just can’t help but to cool ourselves down with a scoop of happiness from Fatbaby Ice Cream. 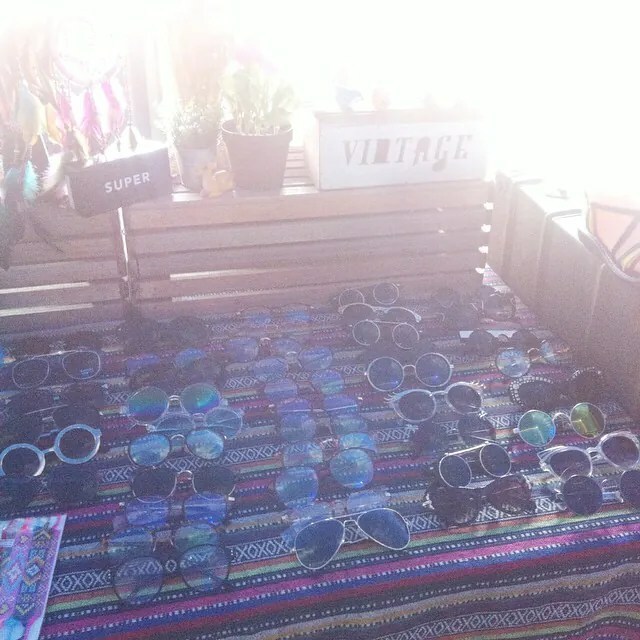 Walk into the arts & craft tent and you’d want to grab everything in sight! The arts & craft tent brought us some of the latest trends while the Markets of Experience encouraged the festival-goers to participate in the world of creative arts. Curated by The Generalist, Markets of Experience is a cross-borders, multi-experiential market that featured a series of art projects, primarily engaging the public with their participation in the projects through their senses. For example, there was a booth that teaches people how to make lower crowns by using the real flowers while another booth used kitchen utensils to create whimsical music. Joining Urbanscapes for the second consecutive year, artist Hsu Lynn teamed up with her friend Joanne Chew to paint portraits of strangers, where the sketches were placed into a candy machine called “Dispensing Strangers”. Festival-goers can also buy her sketch for only 50 sen. It’s a refreshing experience indeed, to be able to connect with people through art. There are “Throwback Thursday”s, and then there are “Flashback Friday”s. But when the festival is being held on a Saturday, they call it “Senti-Saturday”. And no, we’re pretty sure that we weren’t the ones who created the term. It’s hard to pick a favourite when there was so much happening at Urbanscapes 2014. Our ears were still ringing even after we left the festival venue. Calling it Senti-Saturday seems to be a perfect way to describe how much we miss Urbanscapes as they were so many great live performances at the festival. It was an overwhelming experience to be able to see The Lemonheads’ live performance, rock out with Local Natives, get psychedelic with Jagwar Ma and lastly, be amazed with Kimbra’s powerful performance. There’s no way that the Urbanscapes festival-goers are not suffering from a music festival withdrawal right about now. 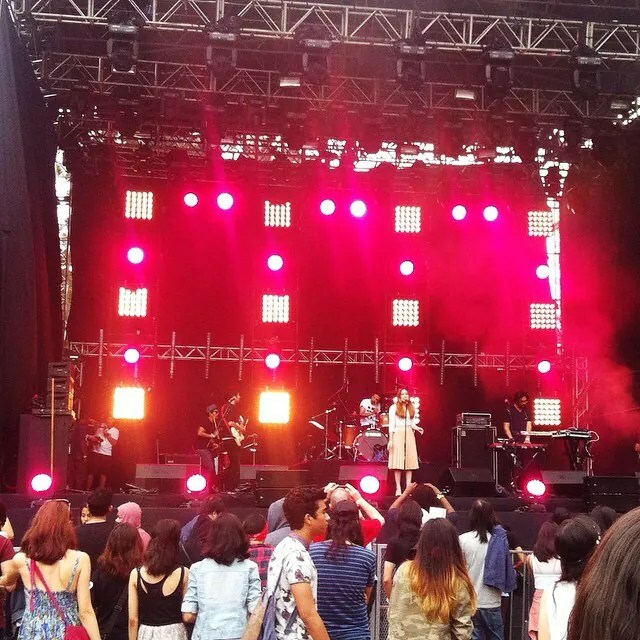 Many may have argued that the line-up for this year’s festival is less stellar than the previous Urbanscapes festivals, but there was so much attention to detail in Urbanscapes that made it a success.